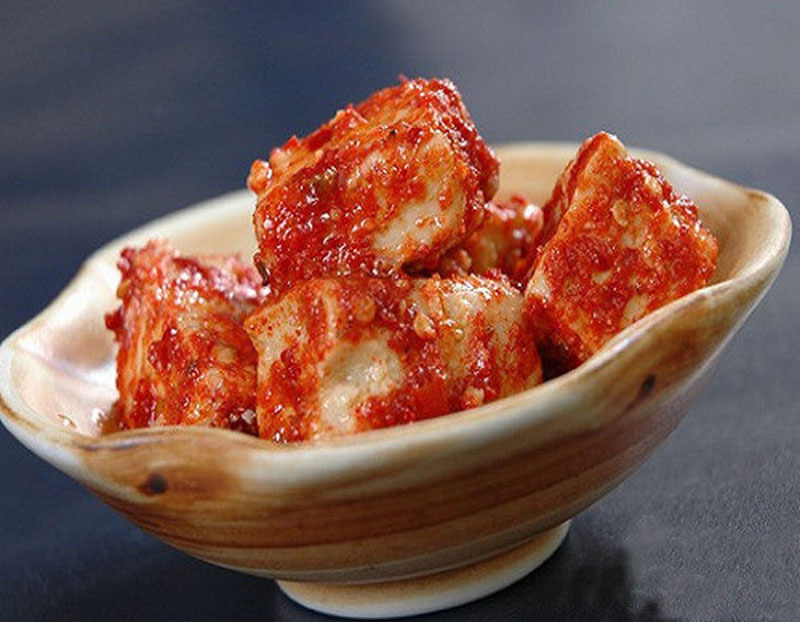 Tujia people in Zhangjiajie like to make mildewed tofu to eat when the winter is coming. Because this season, doing mildewed tofu is easy to save and not go bad. 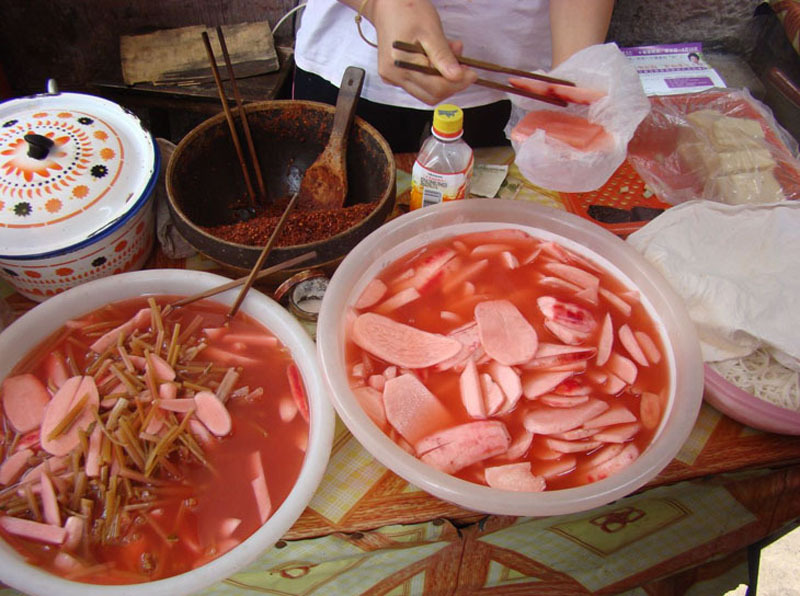 In Zhangjiajie, men and women, old and young, literati and farmers all like eating with pickled radish slices and pickled radish stems with spicy red chili sauce. 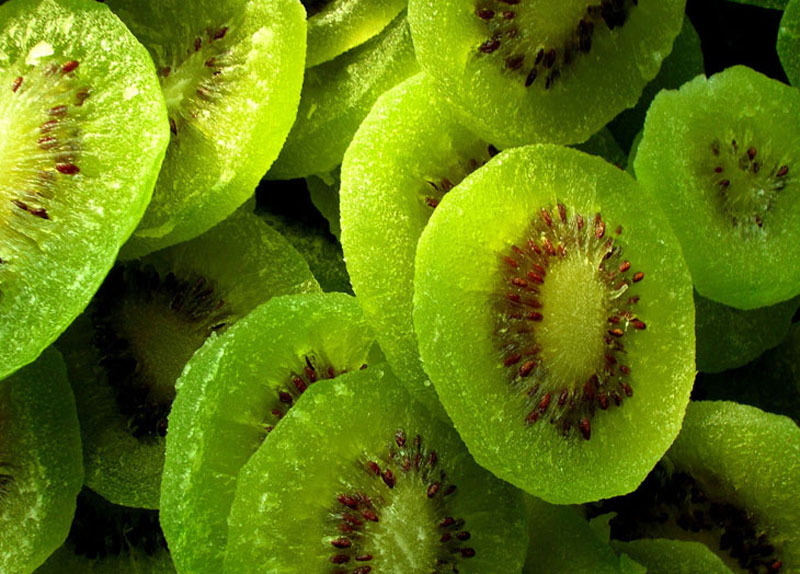 In Zhangjiajie scenic area, it is no exaggeration to say that fruits are in everywhere. 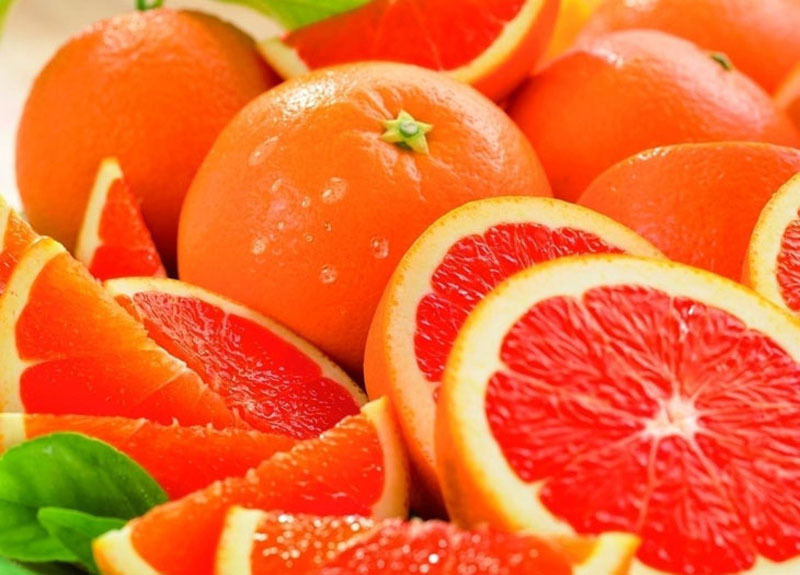 Zhangjiajie is rich in mandarin oranges, especially in both sides of Suoxi Valley in Wulingyuan and Jiuxi and Jiang Ya area which are near Wulingyuan. 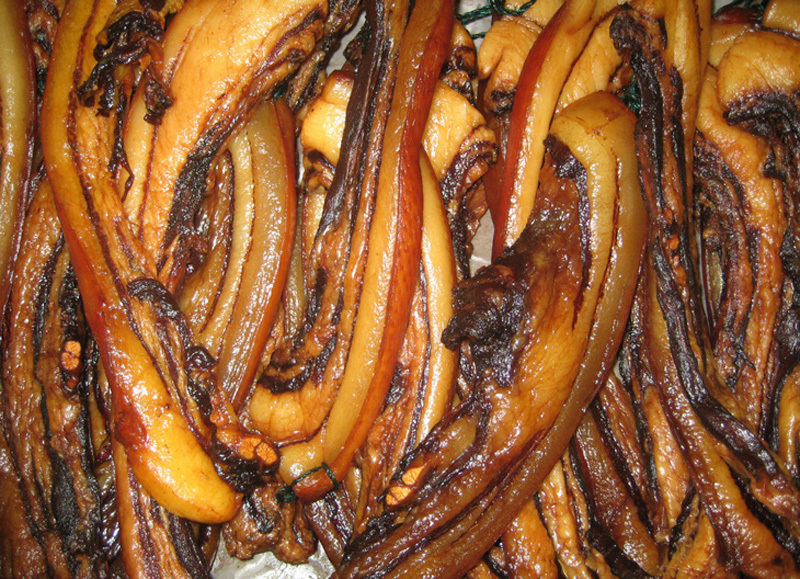 Zhangjiajie has a habit of smoking bacon in the next year. 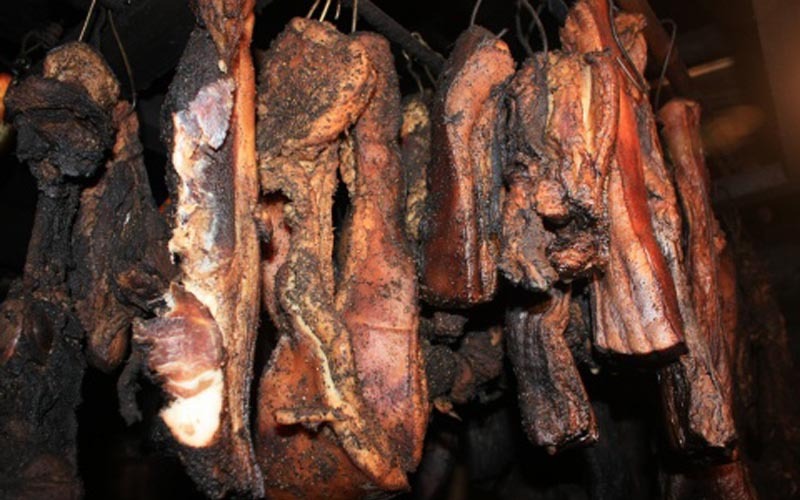 Near the end of every year, people will kill pigs and use their meat, head and foot to make bacon. 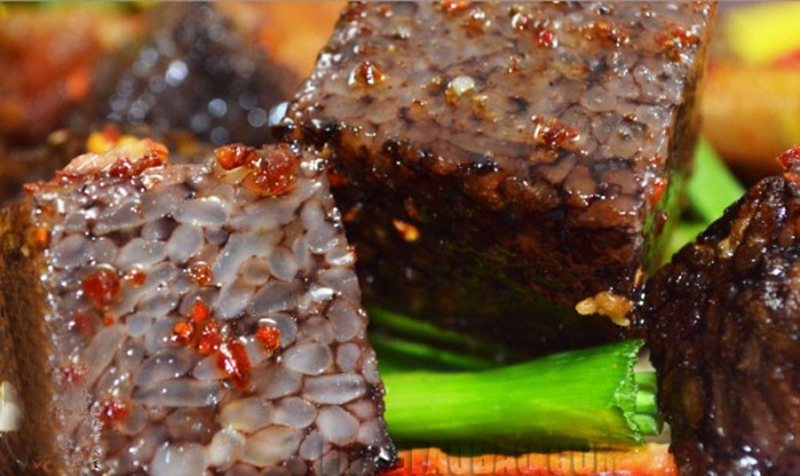 Tuansan, the popular name is glutinous rice sanzi, is a Miao, Tujia, Bai and Han people favorite specialty. 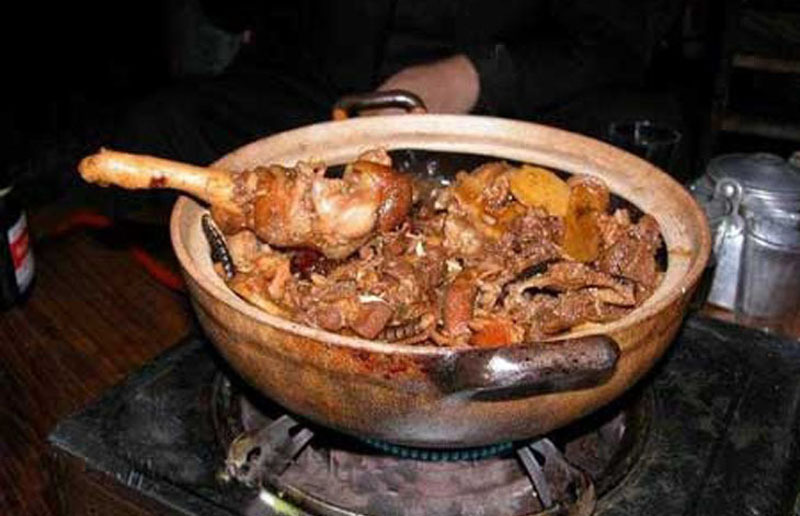 Blood Cake Duck is the most famous dishes in Fenghuang. 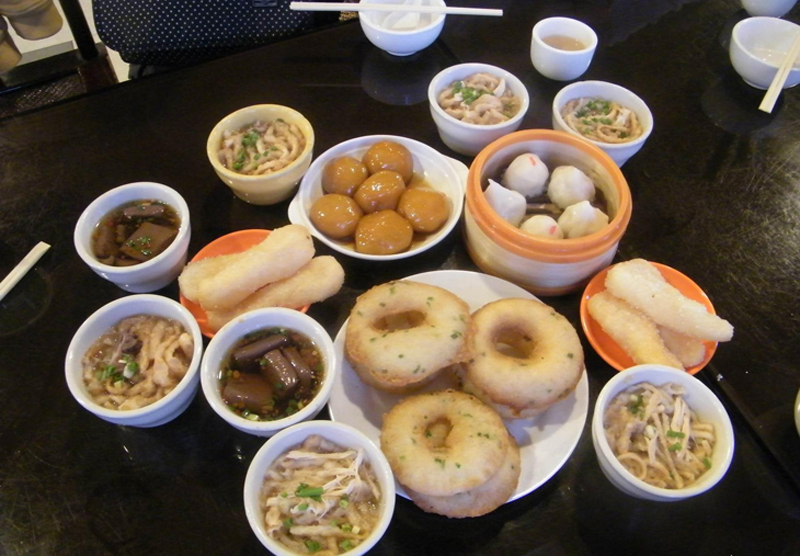 If people begin to make this dish, they will put superior glutinous rice into water. When they slaughter the duck, they will leave its blood and soak into glutinous rice water. 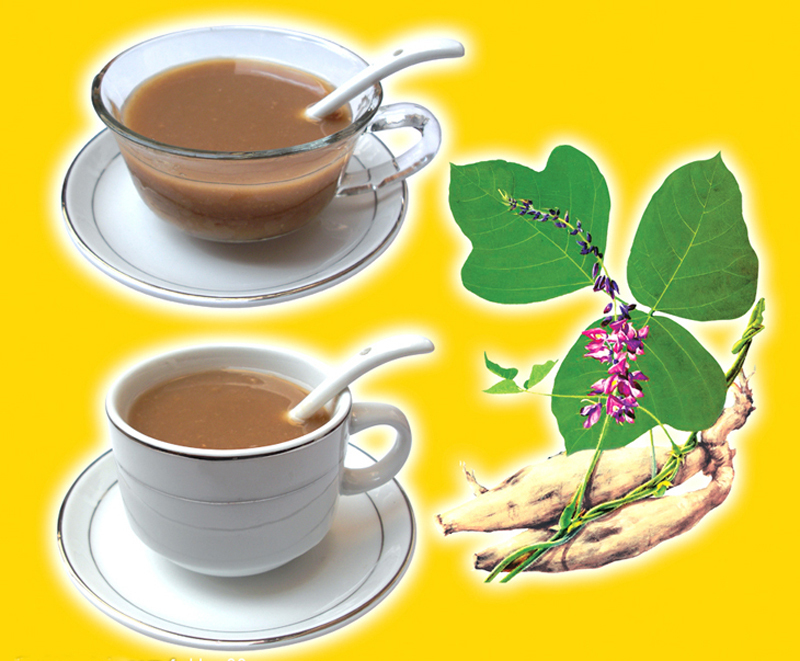 Pueraria Mirifica Powder is unique product in Zhangjiajie, and other places are difficult to buy. 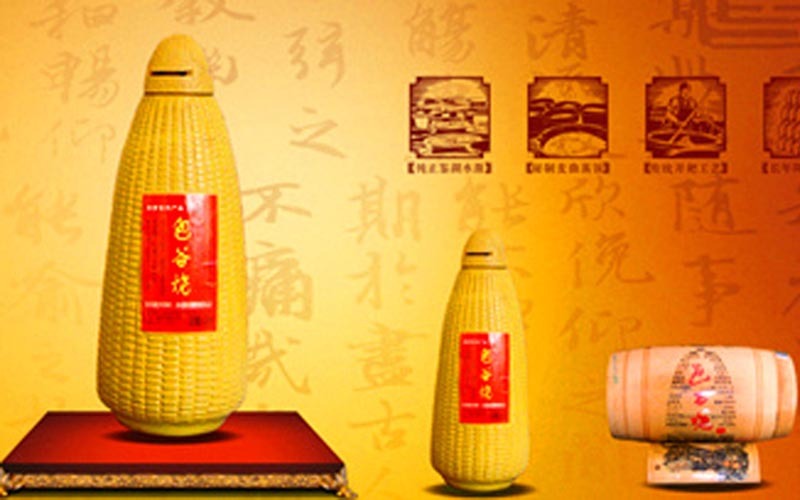 It is very valuable specialty of Zhangjiajie. 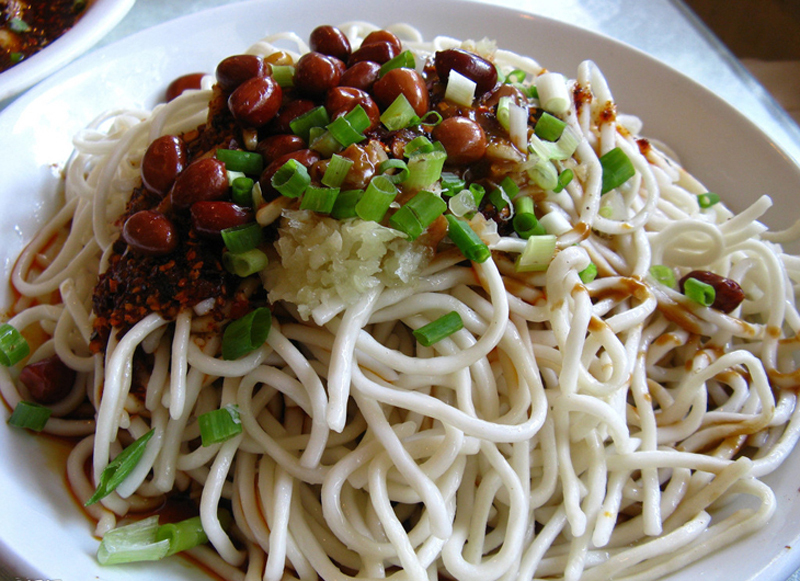 Eating cold noodles in Zhangjiajie can be regarded as a unique landscape. When you walk in the high streets, back lanes, outskirts or village, you can see people who sell cold noodles and eat cold noodles everywhere. Maoyan, is the name of a river in Zhangjiajie, and is a tributary of Lishui River which runs through whole of Zhangjiajie. 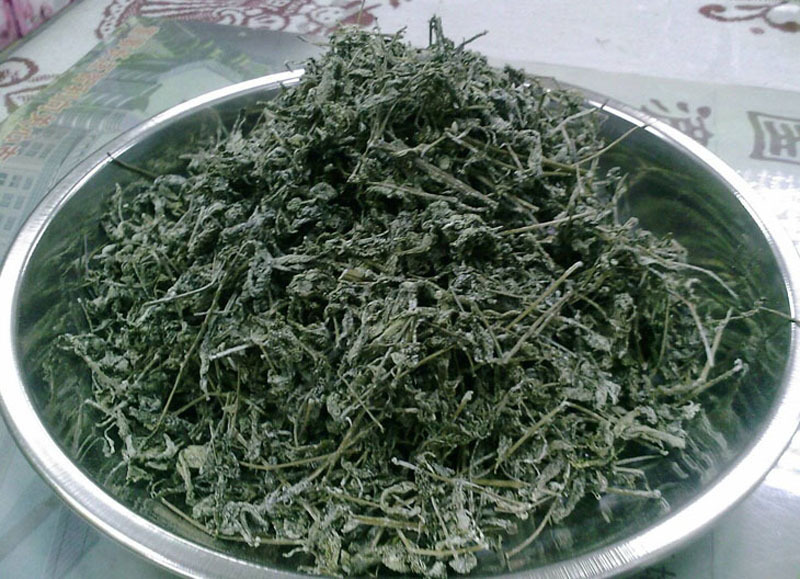 Because there are a lot of thatch rocks along the river, so it is named Maoyan River.